On Friday, Kevin Saunders, a candidate for mayor in the Monterrey County town of Marina, filed the California Psilocybin Legalization Initiative  with the state attorney general's office. 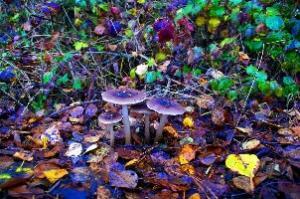 The initiative would exempt people 21 and over from state criminal penalties for using, possessing, cultivating, transporting, and selling psilocybin. Filing an initiative is just the first step , though. The measure must be submitted for public comment for 30 days and then given a circulating title and summary by the attorney general's office before it is approved for signature gathering. If and when it is approved, campaigners would then have to gather some 365,880 valid voter signatures to be placed on the November 2018 ballot. Saunders told the Los Angeles Times  that psilocybin helped him get over an addiction to heroin a decade ago. "I think we're seeing something that could literally heal our brothers and sisters," he said. "We're talking about real cutting-edge stuff." The initiative and referendum process has been criticized  as inflexible, circumventing planning, and relying on an uninformed electorate, and it is also open to criticism as a tool for corporate interests . But it has proven an invaluable tool for advancing the cause of drug reform in the face of state legislatures resistant to change.